[SG] TWG Tea - 'first and only upscale tea salon' in Singapore? If there was one F&B establishment that I would name which has the best marketing and branding team, TWG Tea would certainly be one of the hot picks. The Wellness Group Tea Company, abbreviated to TWG Tea is a Singapore-based luxury tea company with salons across the world. While I first chanced upon this brand of premium tea-leaves in the UK and subsequently in HK, it was only later did I realize that it originated from Singapore! Singapore's pivotal role in the tea trade was instrumental for the company to decide upon the lion city as the organisation's headquarters. 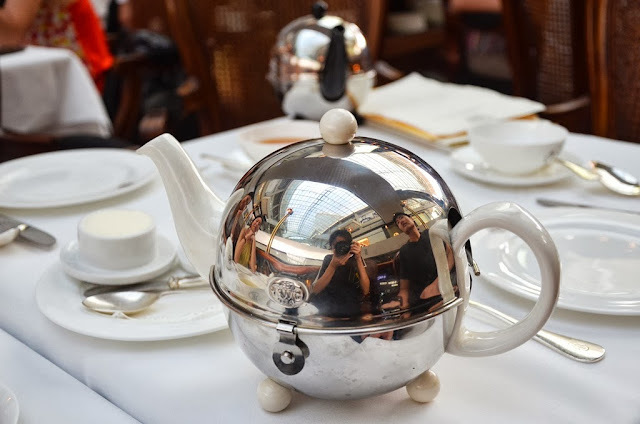 Quite frankly, the tea salon which is characterised by its luxurious layout and presentation had more often than not been intimidating - well a meal there certainly does not look cheap. 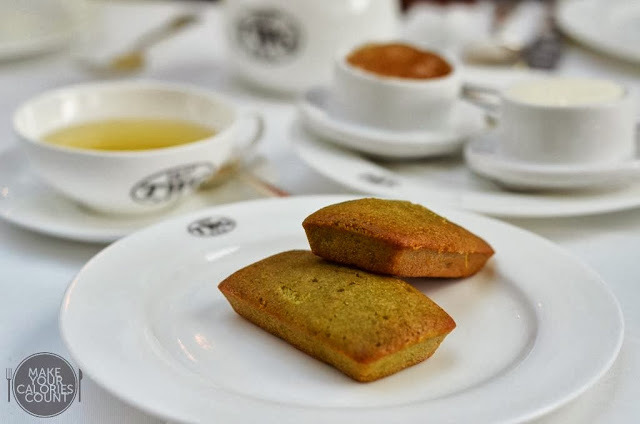 While it predominantly sells tea, in tea-bags like your usual 'Lipton' English tea, TWG Tea also retails hand made tea-infused food, including savoury items, pastries and desserts. They also prepare accessories such as hampers, tea scented candles and teacups made of gold and platinum which would most certainly impress gift-receivers. 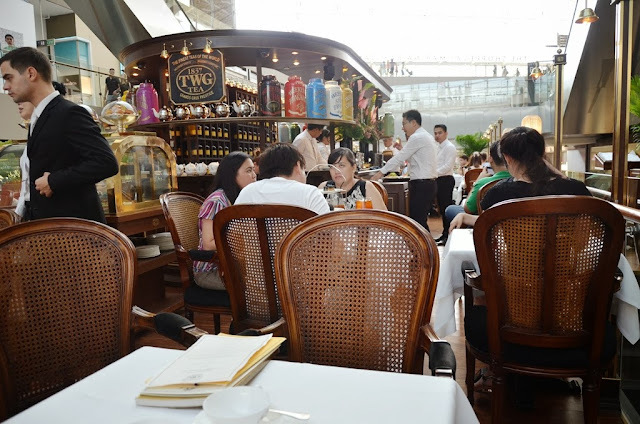 We were in the vicinity of Marina Bay Sands and while we wanted to rest our feet after an afternoon of walk-around, TWG Tea came to mind and after some 15 minutes of queue time, we finally got ourselves a table. The menu entailed a very comprehensive range of premium and flavoured tea-leaves and would almost certainly satisfy tea-lovers. The only shame was that I am a true coffee fanatic and it would be terribly difficult to have me converted with a cup of mild caffeine from the premium tea. The freshly made crepe was served with handmade berry marmalade made of raspberry, blueberry, cherry and blackcurrant infused with 1837 Black Tea. 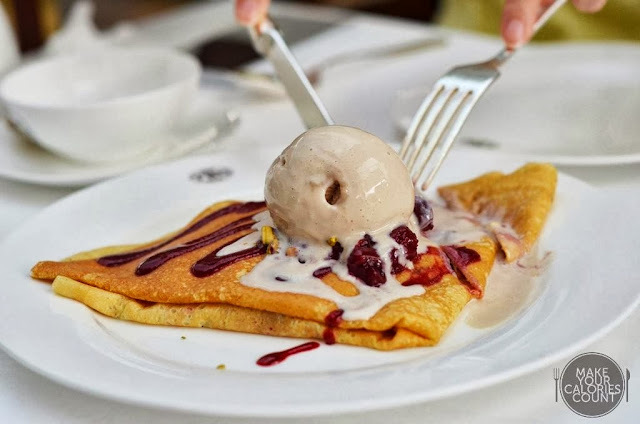 The ice cream was surprisingly creamy and melted almost instantaneously upon being served as it comes into contact with the freshly baked crepe. 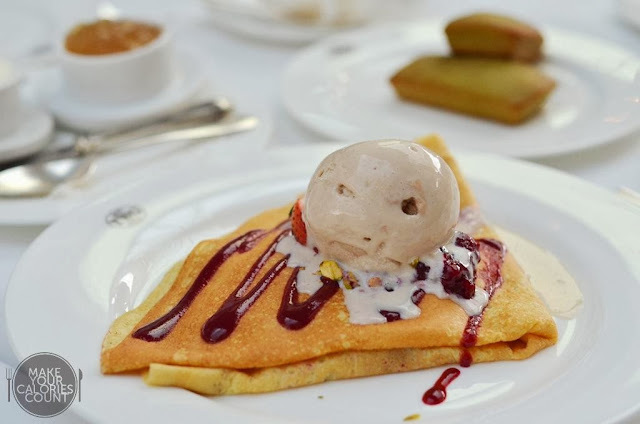 While we enjoyed the soft and warm crepe that was baked to perfection with just a slight tan and a slight chewiness, we felt that the fragrant Jasmine flavoured ice cream complemented the dessert well. We also enjoyed the overall combination of the dessert, which had a beautiful tang from the fresh berries and you could taste the richness of the marmalade. We felt that the matcha financiers were rather overpriced. While it was well baked, with a nice crust on the edges, the almond flavour did not come across strong enough. It was probably masked by the matcha powder used in the making. While it made a decent rendition of financier, it certainly did not come cheap. The financiers were served with TWG Tea jelly and whipped cream. These two complemented the matcha flavoured financiers perfectly and the jelly had a subtle sweetness that kept us scooping more! The whipped cream however was light yet rich and the combination with the jelly was simply sublime. 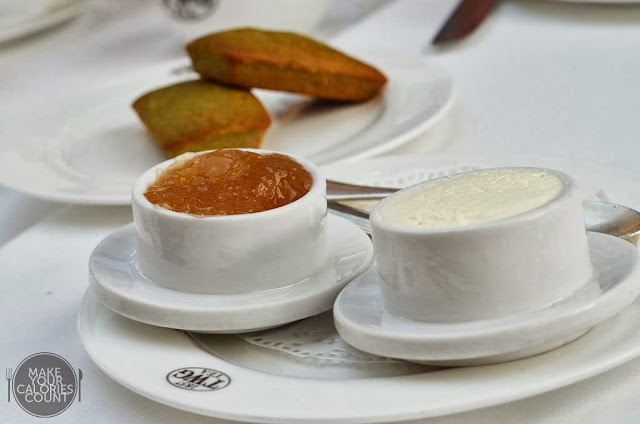 We highly recommend to order the other pastries such as madeleines or scones just so you could pamper your palate with this homemade jelly and whipped cream. Well, as mentioned earlier in this post, I am terrible when it comes to appreciating tea but at S$11/+ per pot for two small cups, I am not sure if it was worth it. On a secondary note, we always preferred traditional English tea rather than floral or scented tea, so I would reserve my comments on this particular signature that was recommended. I honestly think the branding of TWG Tea is brilliant if not, perfect. They have a Caucasian in each and every of their outlet, even in their outlet in Hong Kong at IFC. It exhibits a really 'classy' image especially with the cutlery and interior design of the outlets. Was the service impeccable? Hardly. We ordered an extra serving of two scoops of ice cream but they were not served and it slipped our minds as well. It was however charged to the bill. 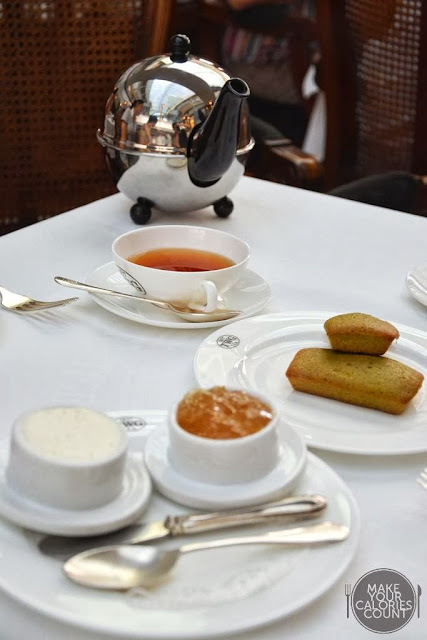 If I may be completely honest, TWG Tea would resume to be the place that I turn to if I needed to get some quick gifts for overseas friends but for me to return for a high-tea or proper meal, there would certainly be some inertia.